The first man that comes to our mind who went against the wild throughout our childhood is Bear Grylls. This man with his trademark show “Man v/s Wild” became the hero of many and came to be known as the born survivor. Though his show ‘Man v/s Wild’ can never be replaced by any other show but for the survival show lovers there are a few more Man against wild TV Shows. So, let us have a look at the 5 shows where once again Man was against the wild! The Canadians have their own ‘Bear Grylls’ known as Les Stroud who has been teaching them and later the whole world the art of survival through his show ‘Survivor Man’. The show was telecasted first in Canada via the local channel and then internationally through Discovery. Throughout the 7 seasons from 2005 to 2015 in each episode, he used to survive for 10 days in a remote location without any food, water, and equipment. The USP of the show is that Stroud himself performed the shooting without any production crew. Behind the success of every Man in life, there’s a woman or do we say behind the survival of every Man against wild there’s a woman. With this innovative concept, a survival show entertained the audience from July 2010 to Jan 2012 through Discovery channel. In the show former US army survival expert Mykel Hawke along with his television Journalist wife faced the survival challenge for a half week with limited sources in the world’s most extreme locations. Survival shows reach its extreme when the survivor really has nothing no food, no tools, no shelter and not even clothes. This weird, a bit awkward but an innovative survival reality ‘Naked and Afraid’ is aired on Discovery channel, USA and so much popular that it has recently completed its 7th season. In the show, two strangers (1 man and 1 woman) have to survive in wild for 21 days and arrange their shelter, food, and clothes with the help of nature. 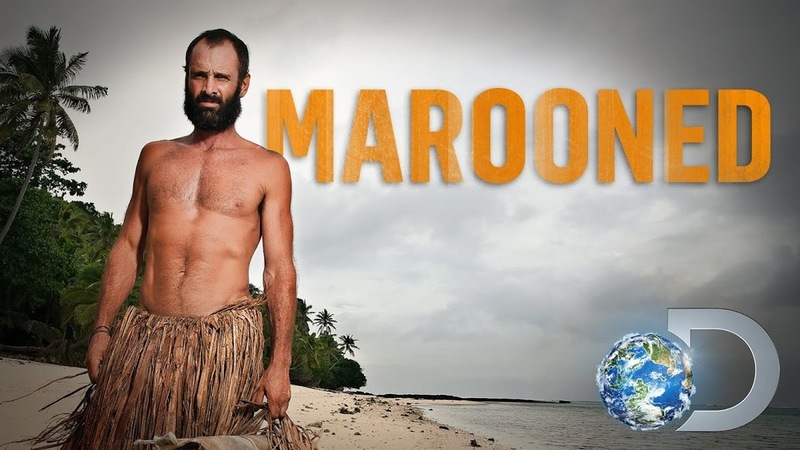 In the show Ed Maroon (Former British Army Captain) is given a task to survive in different isolated and extreme place of the world for 10-60 days depending upon the challenge without food, tool, and clothes (for the 1st season). He is equipped with a camera for filming himself, emergency phone and an emergency medical kit. So far in all the shows, we have seen retired army man against wild. But perhaps the first or one of the first men to start this trend was Leslie James Hiddins. He is a retired Australian army man whose research about survival in Northern Australia was transformed into a survival show ‘Bush Tucker Man’ was aired on ABC TV. Australia which premiered on 29 March 2000. The show is remembered as one of the first few survival shows and hence a must watch for Jabra fans of survival shows.